It would be nice to have the option to select which channel Sync Studio looks for time code on. I use a Juicelink RM333 which has Three clean inputs. two left and a right. the left two channels are summed, so it would be nice to have time code on the right channel then I can use one or both left channels for reference audio. 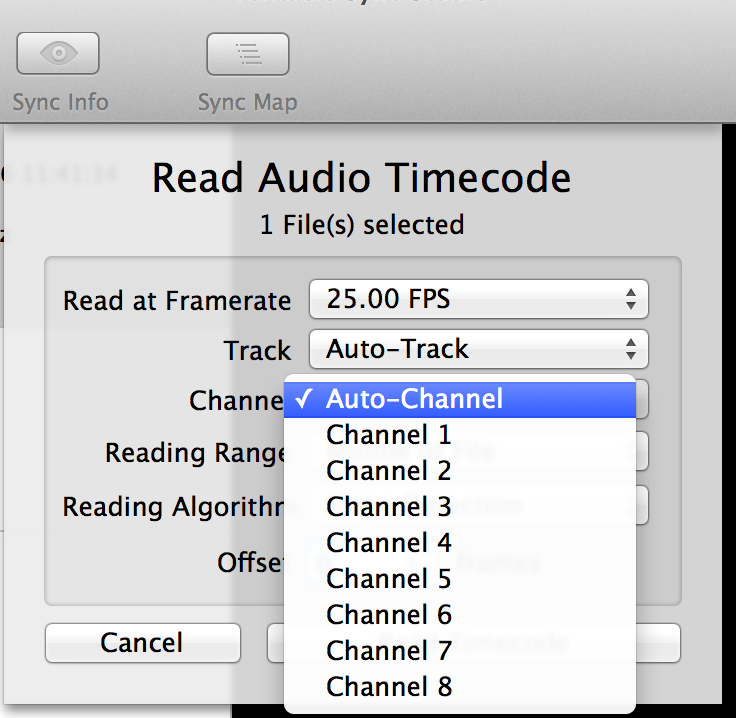 In most cases, leave it on Auto channel and the software will look for timecode audio itself. It is fast enough. But you can also tell it to look at other channels. Press Command R and the third row is the read channel.